Zemlya is the coming together of three cutting edge experimental improvisers in a series of extemporizations that encompass the essence of post free jazz. Elements of prog rock, classic free jazz, korean court music and electronics, the Vancouver-Seattle-Cork axis evoking the vast expanse of Zemlya (zemlya is a Russian word meaning "planet"). 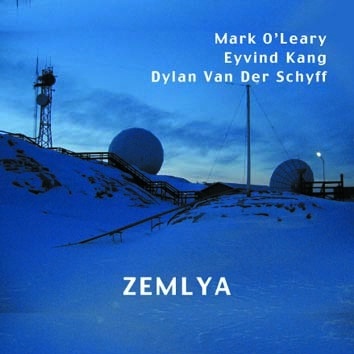 Zemlya is the 8th CD by Mark O'Leary in Leo Records catalogue. Mark O'Leary - guitar, electronics, Eyvind Kang - viola, processing, Dylan Van Der Schyff - drums, percussion, laptop.